The National Accident Helpline have decided to capitalise on World Cup fever along with everyone else and got Gary Lewin to star in their next advert due to his slip when Daniel Sturridge scored the equaliser in a game that England went on to lose 2 – 1 to Italy. I thought Aspas was bad at corners for Liverpool but this one runs it pretty close. I wonder what was going on in Wayne Rooneys head when he was about to take this? 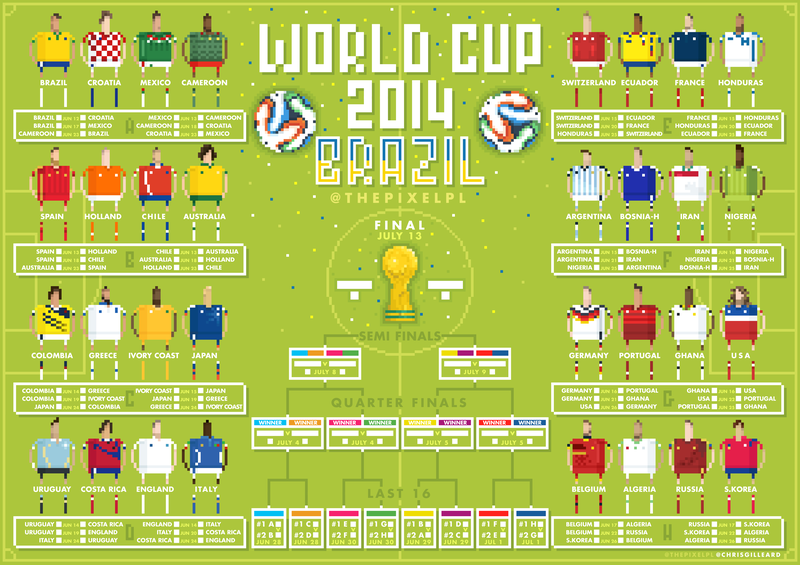 A cracking world cup wallchart here designed by the people over at @ThePixelPL. Go give them a follow folks. Only takes the click of a button. Here we have a throw in of epic proportions – witnessed by 1,000s of people as Italy played Luxembourg in an International Friendly.